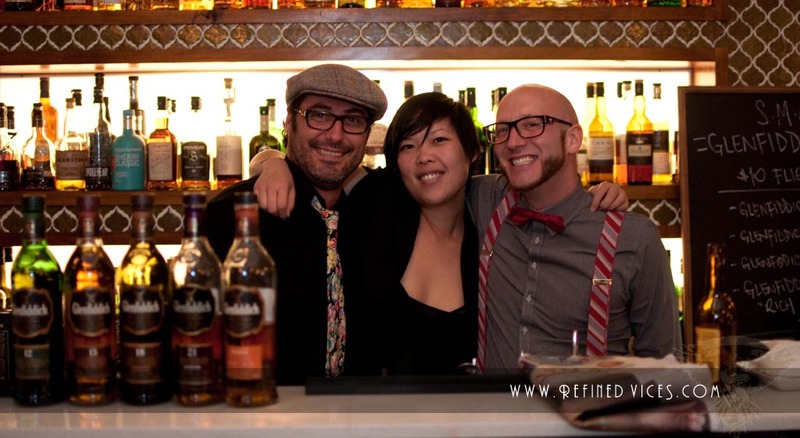 In addition to rum, whisk(e)y has always been one of my favourite spirits and though I write about rum more often, I have not forgotten to enjoy a good dram of Scotch every now and then. Fortunately, my current hometown has plenty of people who appreciate all kinds of whiskey and even has dedicated bars for the appreciation for this fine spirit. In addition to having an extensive selection of whiskey on their shelves, one in particular organises monthly whiskey tastings and calls this The Single Malt Collective. Last month at Chez Regine, around 80 people had braved the Melbourne weather and gathered in for the vertical tasting of Glenfiddich Single Malt whiskies presented to us by brand ambassador Barry Chalmers. The whiskies available to us were the 12 year old, the 14 year old Rich Oak, 15, 18 and the 21 year old Caribbean rum cask finish. As we went through the whiskies, Barry explained a few tasting methods to the audience as well as involved us in the whole process of tasting by asking us to identify some of the aromas and flavours we were experiencing. At the end of the tasting, Barry made himself available to the people in the bar if they had any further questions and walked around engaging in conversation with us. 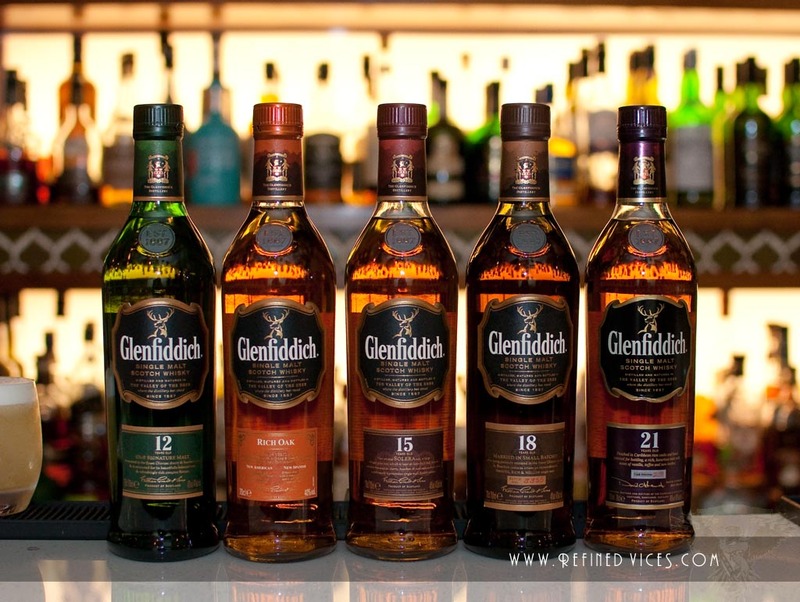 I've always liked the 15 year old Glenfiddich and before that night I had never tried the 18 and 21 year old whiskies before, nor the 14 year old Rich Oak, which turned into a new favourite of mine in the Glenfiddich Single Malt Scotch Whisky range. Chez Regine is located on 270 Russell Street where the whiskey tastings are hosted every last Monday of the month. Check out their website and Facebook for further details and remember to take a look at the event photos at facebook.com/refinedvices!